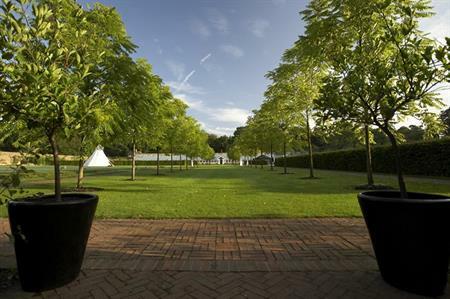 Luxury hotel The Grove in Hertfordshire has unveiled its newly refurbished meeting and events spaces. The property's existing meeting rooms have been reconfigured and refreshed, with a new suite and oval function room, all embedded in the estate’s formal gardens and created by the hotel’s original designer. In total, there are now five event spaces, including the Amber room with can cater for large functions for up to 700, with the new configurations designed to offer additional space and flexibility for events. Designer Martin Hulbert said: "We were very aware that these spaces would be used for brainstorming and creativity – but also for celebrations and special occasions. The designs are all about inspiration, bringing the great outdoors in, plenty of natural daylight and open views so people working or socialising in the rooms don’t feel fenced in. And the art was chosen to make people smile and to think out of the box."